Hello all! It's me Alexia back here with you again today with another back to school project using Craftwell and Xyron products! 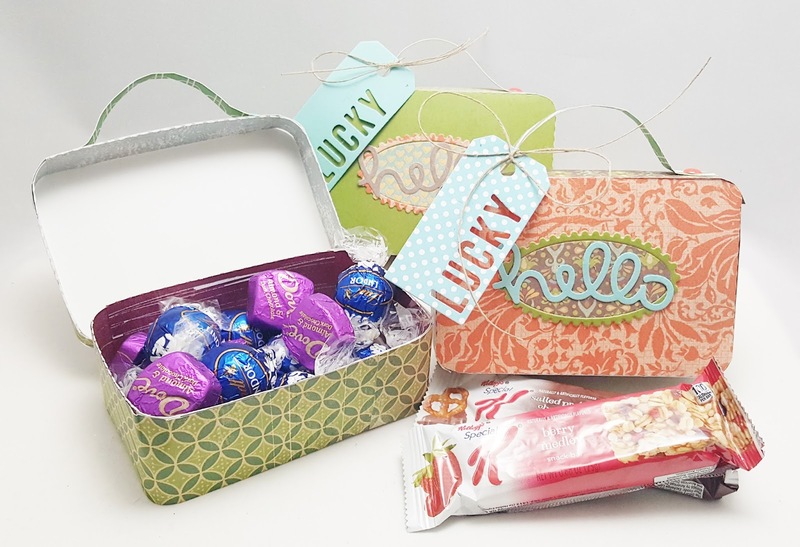 This time I created this lunch box filled with treats for school teachers or friends. Would you like some of these....?! Good news, I will provide the svg file to create this lunch box! 4. 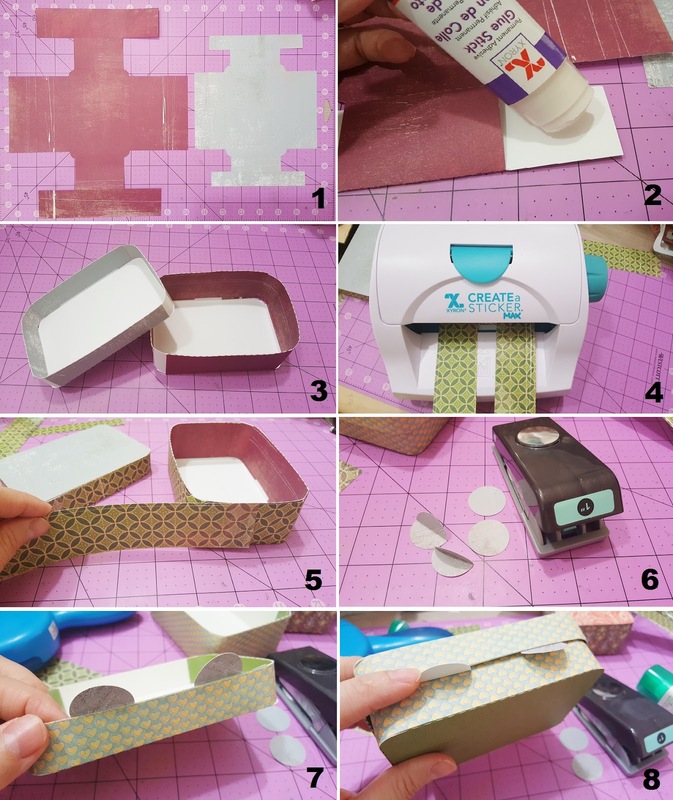 Cut strips of patterned paper that is the width of the bottom and cover piece for the lunch box and run them through Xyron Sticker Maker. 9. 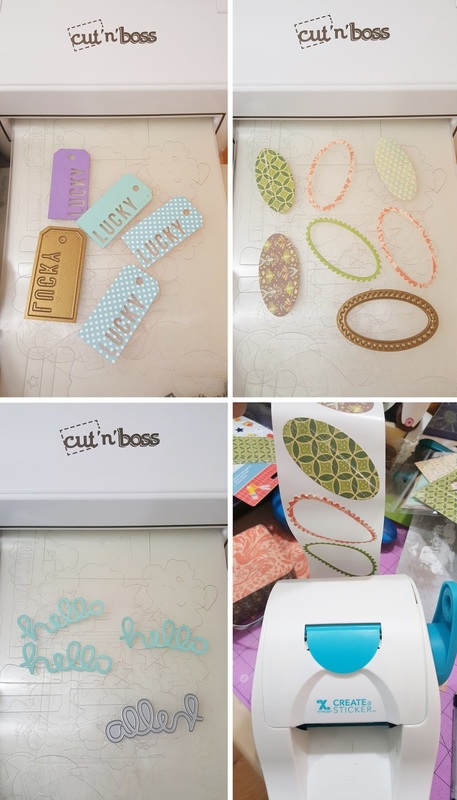 Cut out tags, labels and sentiments with Cut 'n' Boss and run them through Xyron Sticker Maker. Embellish lunch box. And here it is...lovely lunch box is ready to go! I hope you like this project and don't forget to grab the svg file to make it too! Thank you so much for stopping by and I hope you have the most wonderful weekend! Happy crafty day! Thank you Alexia! 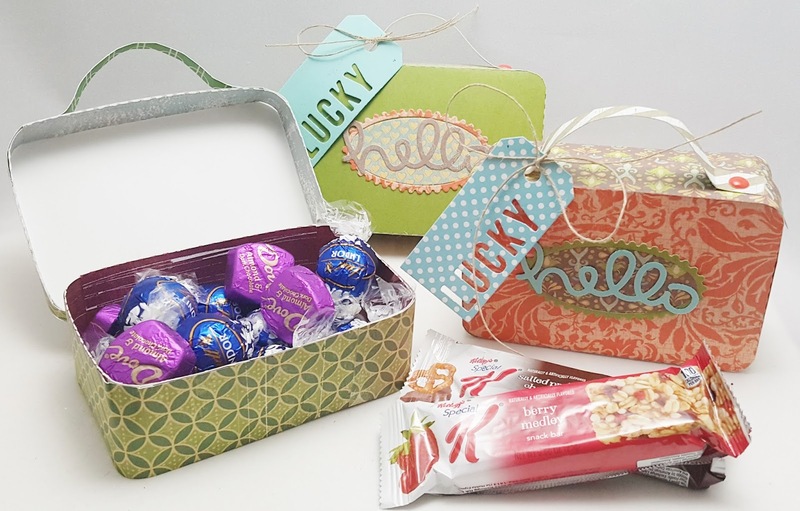 What a cute way to celebrate back to school! What do you think of Alexia's project? fantastic project and great instructions much appreciated. Please help as I am unable to locate the svg file to download it. Super cute idea! TFS Alexia!